Location: Tullamore, County Offaly, Ireland. Ownership / Access: Managed by Dudley Stewart. 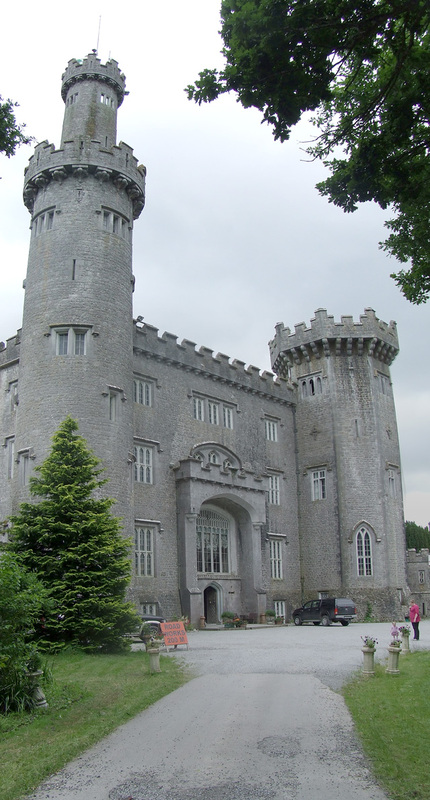 Notes: Charleville Castle is a Gothic-style castle located in County Offaly, Ireland, bordering the town of Tullamore, near the River Clodiagh. It is considered one of the finest of its type in the country. Currently, the Charleville Castle Heritage Trust is managed by Dudley Stewart, with the day-to-day running is handled by volunteers. The castle has been host to multiple events, including "fright nights", an auction and a play by the English Chamber Theatre called Dearest Nancy, Darling Evelyn. More recently, it has played host to the Mor Festival, and its successor, Castlepalooza. It also now has the Explorers' Museum in honour of the Charles Howard-Bury. The castle itself is reputed to be haunted, with it appearing on Living TV's Most Haunted and Fox's Scariest Places on Earth. The most famous of these ghosts is that of a little girl called Harriet, who died after a fall in a staircase. It has also been visited by numerous paranormal investigators and psychics. The castle has been photographed by Sir Simon Marsden and appeared within his collections. It was on ABC Family's Scariest Places on Earth. It also appeared on Ghost Hunters International. It was also used as a filming location for Becoming Jane (2007) and Northanger Abbey (2007). A tree associated with the house, the King Oak tree, was nominated for the European Tree of the Year in 2013. The lore relating to the tree states that if a limb falls from the tree, a member of the Bury family will die.